“The greatest theme in American literature,” writes Scott Russell Sanders, “is the search for right relations between humankind and nature, between civilization and wildness.” It is a theme central to Sanders’s own award-winning work: twenty books of fiction and nonfiction. 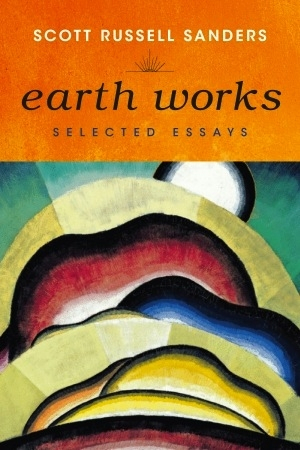 Earth Works collects thirty of his essays, nine of which are new. Sanders takes exception to the label “nature writer”—“as if paying attention to our membership in the web of life were a specialized interest, like following sports or fashion or cuisine.” He prefers the term “Earth writer,” since he is interested in all life and its intricate interrelations. “Nothing less than the undivided universe can be our true home. Yet how can one speak or even think about the whole of things?” This is Sanders’s project: the whole of things. It’s a project he has undertaken conscientiously, schooling himself in the essay and in the writings of his predecessors: Emerson, Thoreau, Aldo Leopold, and Wendell Berry. He takes to heart the idea that the essay bares the writer more than any other form, and excavates his own feelings—and at times, failings—completely. He considers at length not only man’s relation to nature, but all of his own daily and most urgent relations: playing sports or quarrelling with his son, using his father’s carpentry tools, standing up in his daughter’s wedding, revisiting the location of childhood epiphanies. How should men look at women? What does it mean to be alive during an era when the Earth is being gutted to feed the engines of consumption? What is the best way to live?